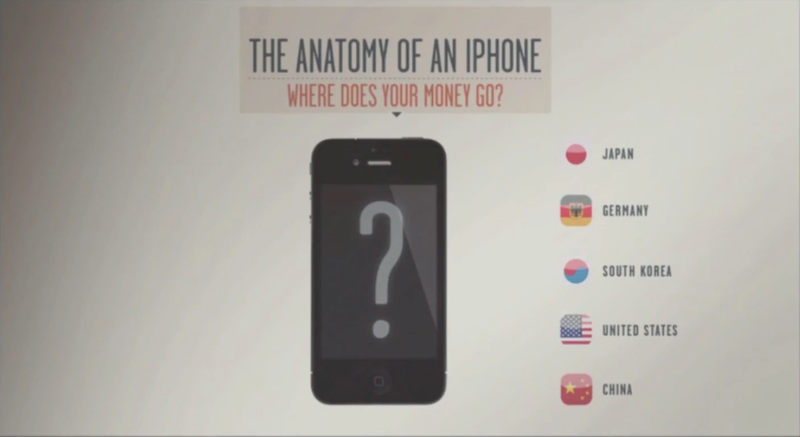 Anatomy of an iPhone - Where Does Your Money Go? In Jan-March of 2014 Apple sold 51 million iPhones leading to a 13.1 billion dollar profit. With the upcoming release of the iPhone 6 a new round of heavy buying is expected. The question may arise is which countries will benefit the most? When it comes to building the hardware of an iPhone and the question of “which countries will benefit?”. You will be surprised at the answer. However, this perception is actually very incorrect. 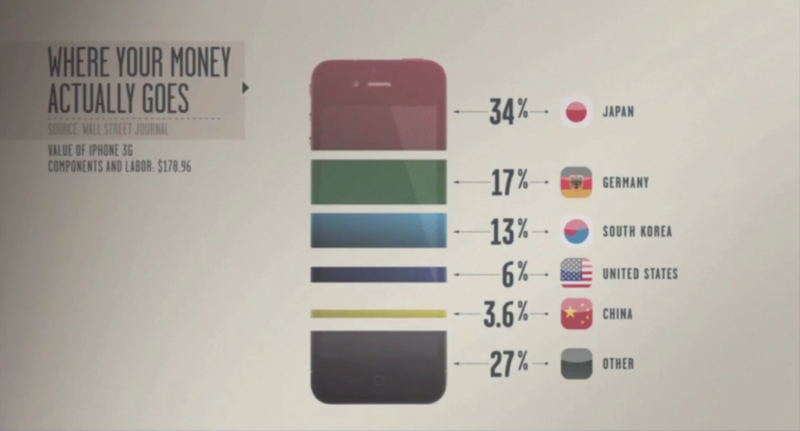 The majority of the money actually goes to the countries which make some of the precision components that go into the iPhone. Japan and Germany taking home the majority of the profit. The reason is because it takes a very highly educated workforce to make some of these components that go into the phone. So it takes countries with highly educated workforces with skills in these areas to make these components. While China assembles the components only a minority of the profit (3.6% go to China). The majority staying in highly developed nations which have those special skills. 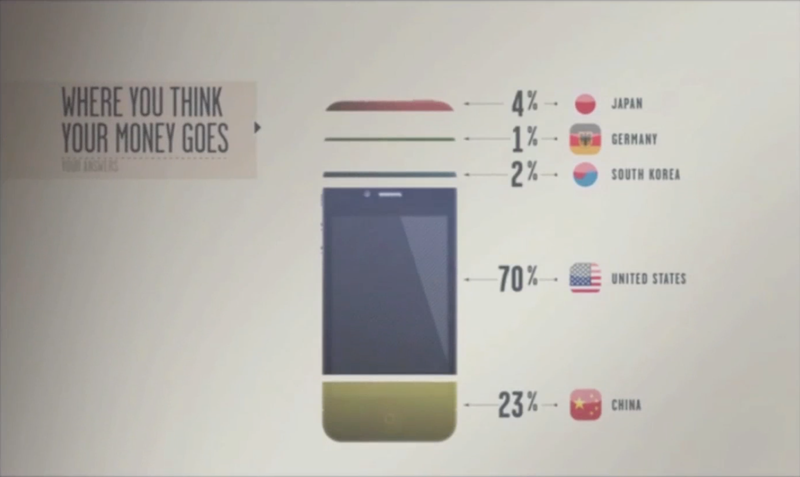 This gives us not just a background on how the iPhone is distributed but also gives a basic lesson in economics. That it is the highly skilled economies which benefit from new technologies like the upcoming release of the iPhone 6. It is also the highly skilled labour in the economy that benefits with higher paying jobs, leading to more revenue in taxes, leading to more government money for education and other programs, leading to a higher skilled workforce, eventually leading to more spending power in the economy, leading to more job creation in a virtuous cycle which helps to raise the living standard of everyone in that economy over time. Note some of the numbers above are from previous versions of the iPhone but the distribution remains largely the same as is expected to be this way with the upcoming iPhone 6.